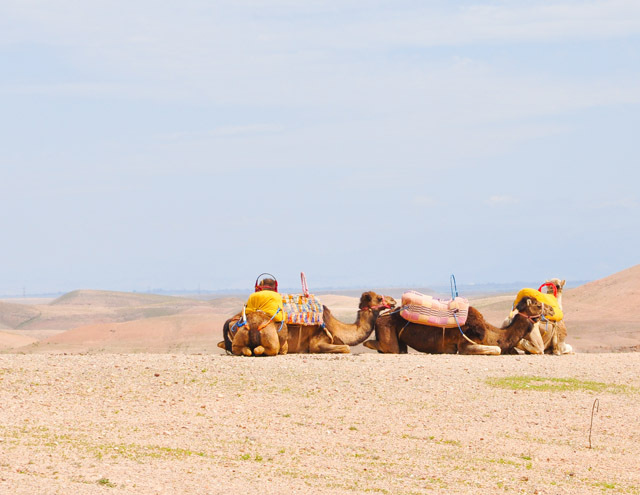 I've officially renamed Marrakesh as "the Magic of Morocco" as this is a place that is beyond imagination. 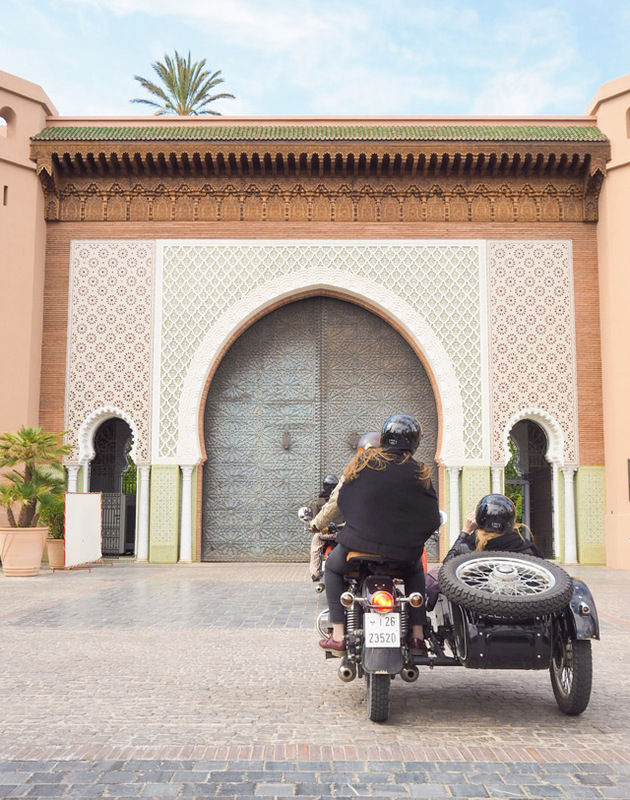 From exploring the souk in the Medina (old city) on foot to riding through small towns in a motorcycle sidecar, Marrakesh is most certainly a place that can be enjoyed in a number of different ways. 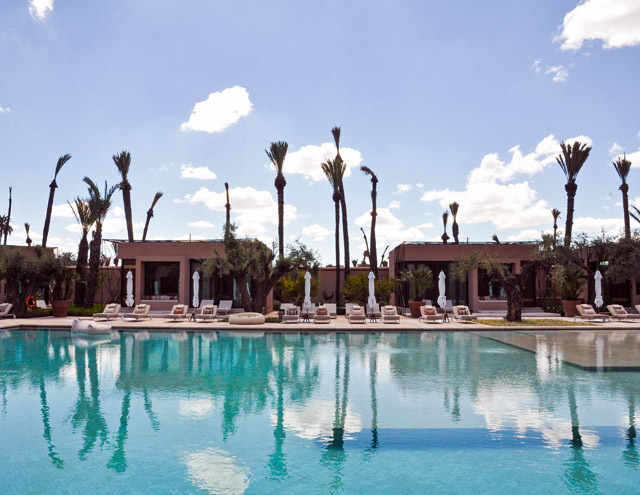 However, if you are looking for the ultimate in luxury for a weekend away, there's only one way to go and it all begins with a stay at The Royal Mansour. 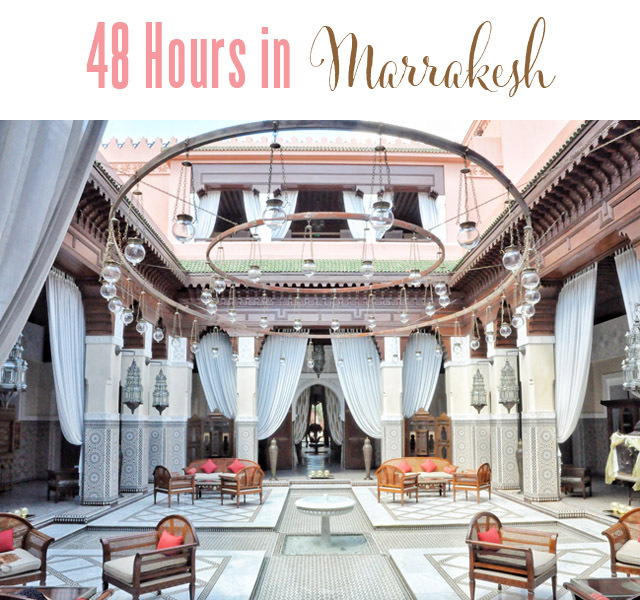 Here is your dream 48 hour travel checklist for planning a weekend in Marrakesh, Morocco. 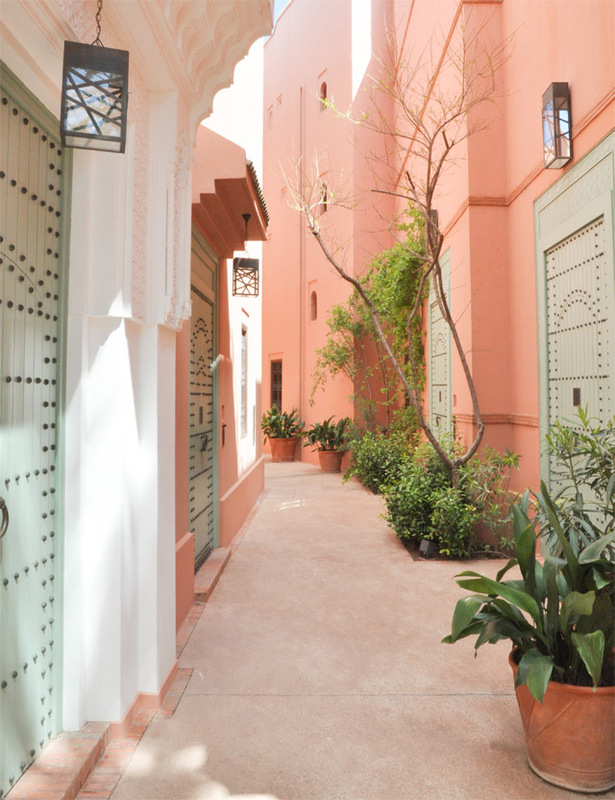 There isn't a person alive that can write eloquently enough to describe the beauty or grandeur that one will discover when walking into The Royal Mansour of Marrakesh. 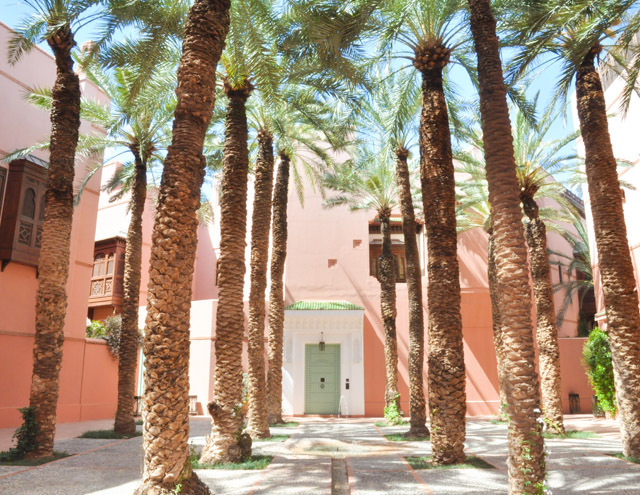 It is rumored that staff, at this 53 riad resort, outnumber the guests ten to one, but you would never know it. Everything is simply "taken care of," without a whisper of evidence that anyone was ever there doing the deed. You can't squash a seat cushion in the morning without it being plumped up again before returning to your room in the afternoon. There are endless tunnels that run under and around the hotel that allow for housekeepers, butlers and the like to service every desire a guest may have before they even actually knew they needed it. Never before have I felt more "taken care of." There are those words again. Of course it all makes sense, if you really take time to examine the roots of this hotel. 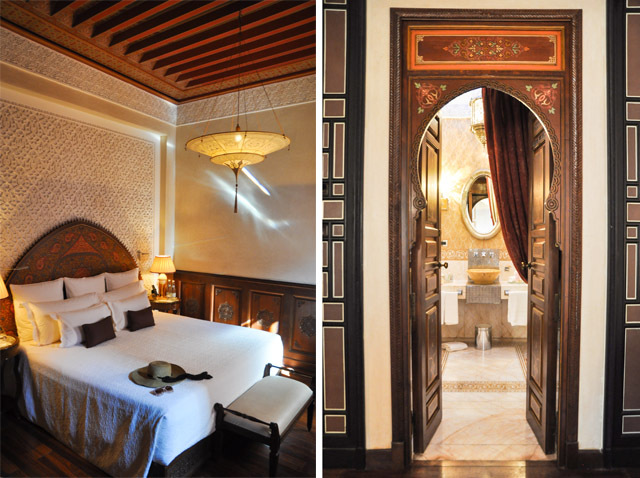 The Royal Mansour is owned by and designed by a King, for a King. And you, dear traveler, are treated as a member of the royal family when in residence. There is no debate about that. Perhaps my favourite question asked by any member of staff was, "can I do anything else that would please you?" Well, yes in fact, promise that I never have to stay anywhere else ever again as this is surely heaven on earth. As I mentioned, I'd be a fool to think that my writing could ever truly articulate the overwhelming level of hospitality or the divine designer details present at The Royal Mansour. And so, I'll let my camera take over from here. In total, I took 2,145 pictures while in residence, capturing everything from the ornate bed to the rooftop terrace, complete with pool. I actually found myself taking pictures of everything from the door decorations to the perfectly pleated and drawn curtains in every room. 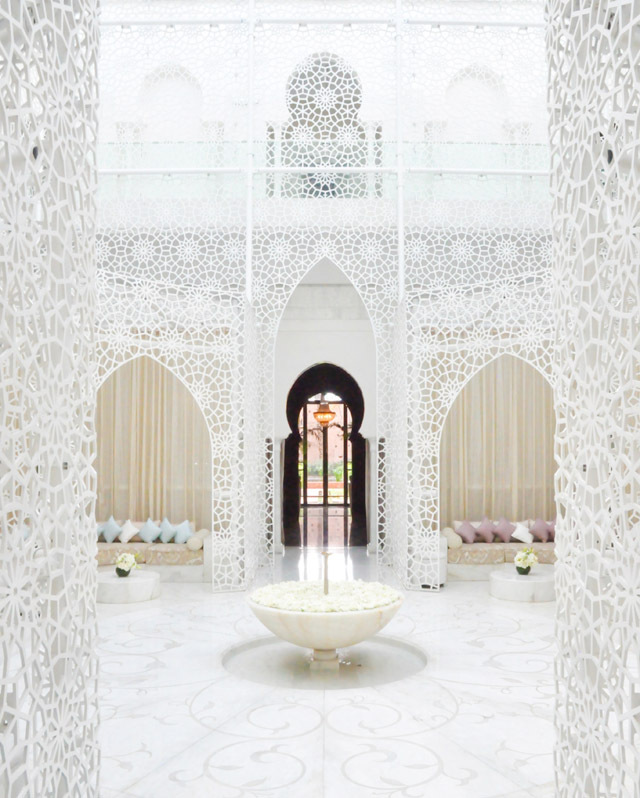 There isn't a square inch of any space at The Royal Mansour that hasn't been carefully planned, decorated or manicured in a way that will reflect the best of what this country has to offer. It is, I warn you now, at times almost too much. You will find your eyes darting around you at every moment. Conversations in new locations are almost impossible as you find your gaze drifting around the rooms in awe of what Moroccan artists are capable of creating. Again, I'm trying to describe the magnificence, when it's impossible to do so. Pictures, let's move to pictures. 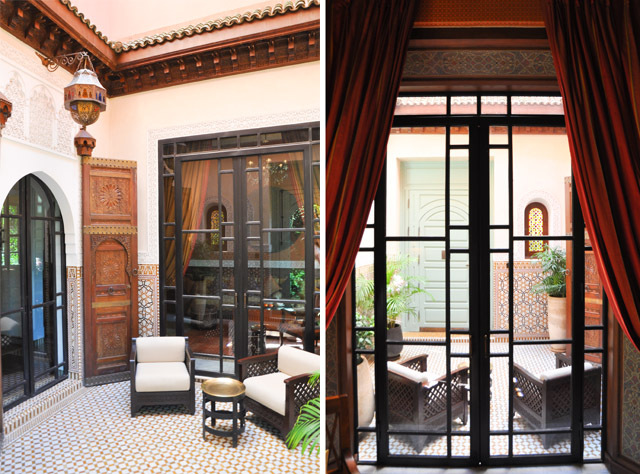 This is The Royal Mansour of Marrakesh. My entry into the living room and a shot of the most ornate headboard I have ever seen! The bed from afar and the rather elaborate entrance to my en suite bathroom. Just casually greeting you at the door to my riad. Breakfast on my rooftop terrace. And of course when one has a rooftop terrace to themselves, it's all about sunbathing! The entrance to my room comes with an open air courtyard. ...Which I fully took advantage of for displaying evening attire. And I will truly never get over how beautiful my three staircases were! Try to find your breath again! This is the spa! Brunch at The Royal Mansour at La Table. Food from La Jardin at The Royal Mansour. Alright, so I have you checked into the Royal Mansour, so let's just say that your dinners should be here. If you are staying for 48 hours, that gives you two dinners and enough time to spend a few hours by the pool and enjoy lunch at Le Jardin. Let's kick off with that, shall we? 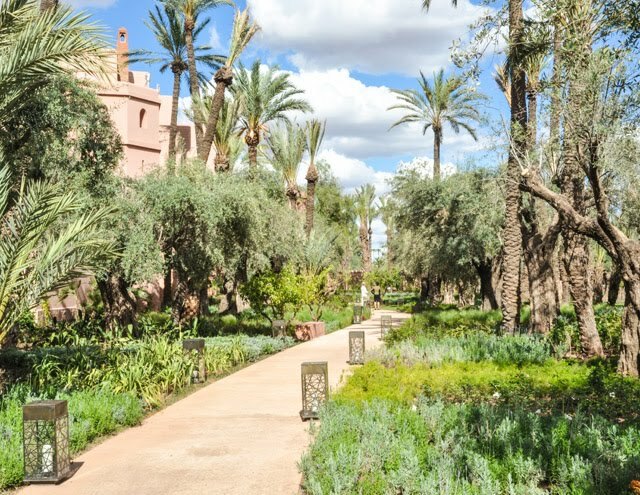 Le Jardin at The Royal Mansour is the latest addition to their four restaurants in house and is perhaps the most laid back of the collection. 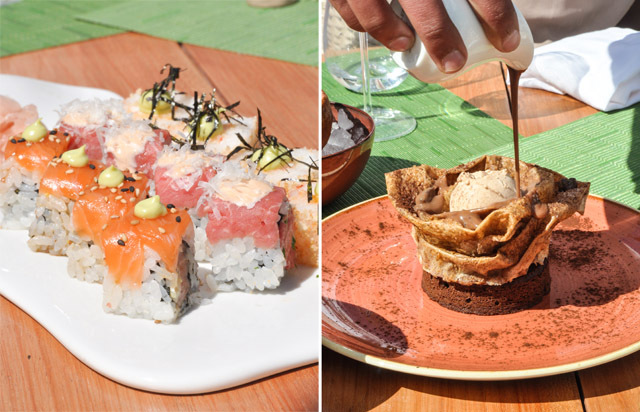 This experience features everything from ceviche to sushi and beyond. There are five dozen dishes on the menu that are a celebration of chef Yannick Alleno's brilliant expertise in the kitchen. Basically you can order absolutely anything and you will beg for more. I never knew my stomach could expand to eat so much, but I couldn't stop myself. Such good food is meant to be savoured and eaten in portion sizes that would comfortably fill a giant, right? For dinner, I would say book one night in the traditional Moroccan restaurant and one night in the French restaurant in house. They sit opposite one another in the same building, yet could not have a more different look and feel. 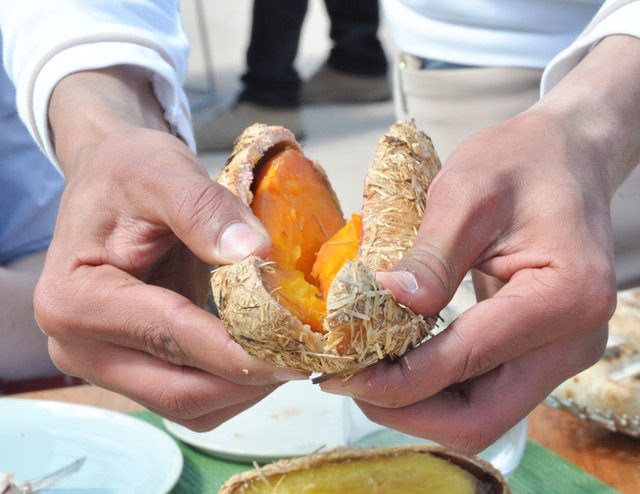 This is truly a showcase of the local flavours on offer in Marrakesh, and for first time visitors to the region it's a great introduction to the cultural influences you will find out and about the city. If you have time, I would say you should most definitely squeeze in Sunday brunch at the property. There is nothing that compares to this experience. Ice cold champagne was served as we sat at the table and waiters insisted on carrying every plate full of food back to the table on our behalf. Sure, we were serving it up ourselves at the buffet, but could never be expected to carry our heaving plates back to our place settings on our own. In fact, I am pretty sure the lovely men servicing our tables would have preferred if we had let them do the walking to the buffets in the first place. There were several offers of "shall I bring you a selection" made at every turn. 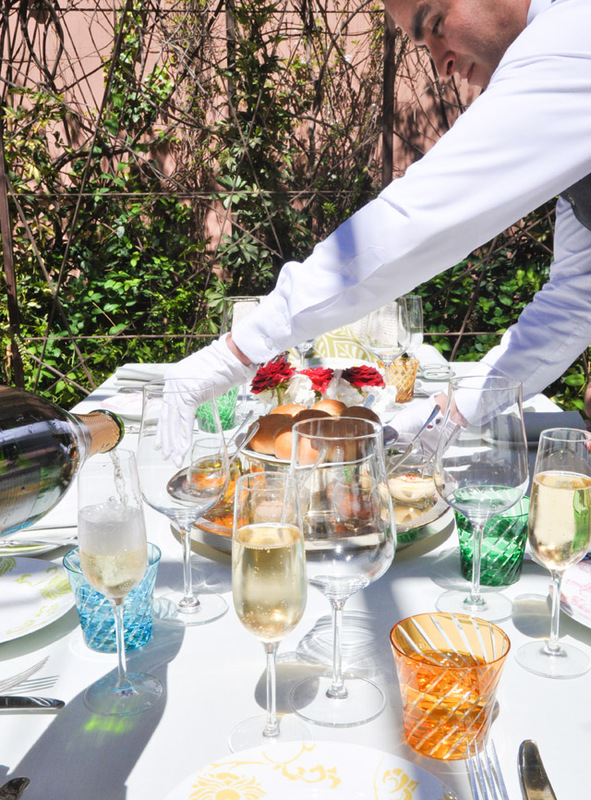 Whether you are a hotel guest, or simply a traveller coming in for a dining experience, you will feel the full weight of the royal treatment present at every turn at The Royal Mansour. 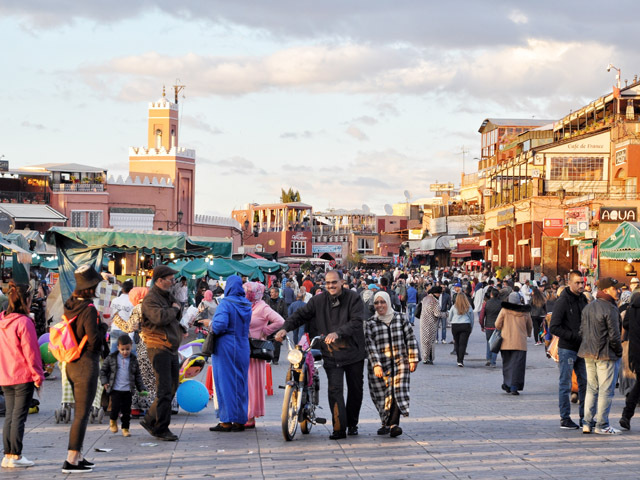 No visit to Marrakesh would be complete without a visit to the Souk in the old town. My advice? Ask for a guide. 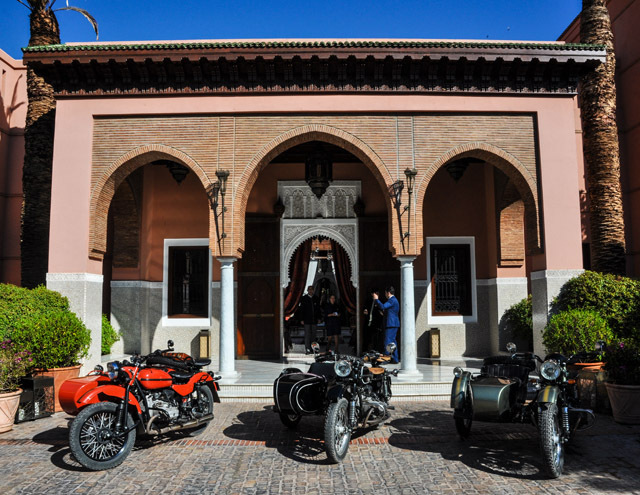 Whether that's through your hotel (The Royal Mansour have the perfect man, as you would expect) or booked through a trusted local partner, I would always say a first time visit warrants a bit of assistance. While it's completely safe to shop in the souk solo, it can sometimes feel quite intimidating as shopkeepers can be very forceful when it comes to the negotiation process. If you aren't used to this, it's good to have a guide to hand that can lead and assist you in your buying. And you will want to buy, but will also need someone to show you all the best places to shop. 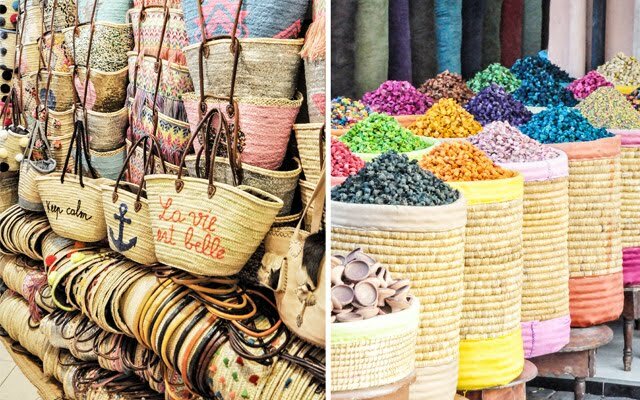 The souk is massive and overwhelming, but it's an experience not to be missed. 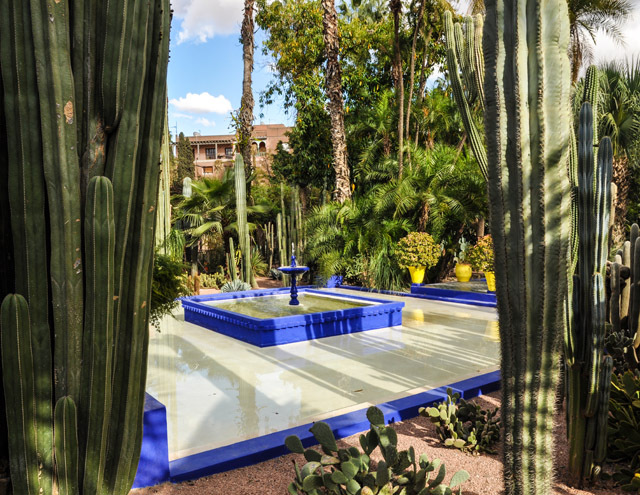 This is another attraction that is featured in nearly every guide to Marrakesh, and with good reason. 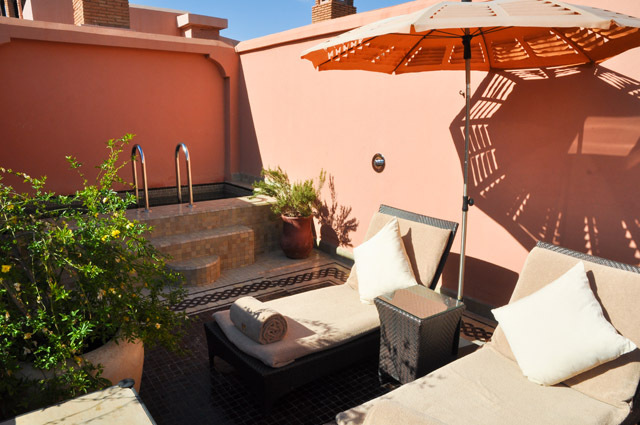 It's one of the most visited tourist attractions in Marrakesh, so again you''ll need to think ahead about times to visits, tickets, etc. Just warning you now! Also be forewarned that this might just be the selfie capital of the world. My goodness, I don't think I've ever encountered more selfie sticks in my life. Had my eye nearly removed from its socket after a most unpleasant encounter. But, you'll just need to get past it. 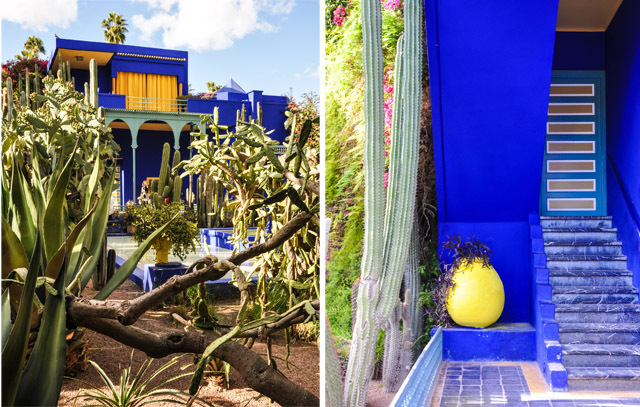 It's worth it to see the brilliant blue buildings nestled in the sea of cacti. You'll get carried away dreaming of the walks Yves Saint Laurent would have had down these narrow paths as he dreamt up his future collections. 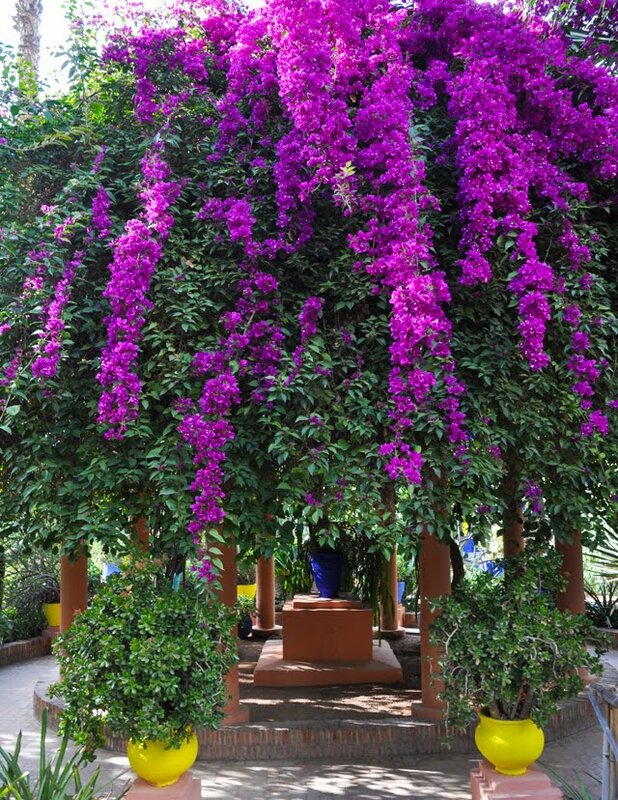 It is simply enchanting and a must visit. If there is only one thing you book in advance of your trip, make this it. 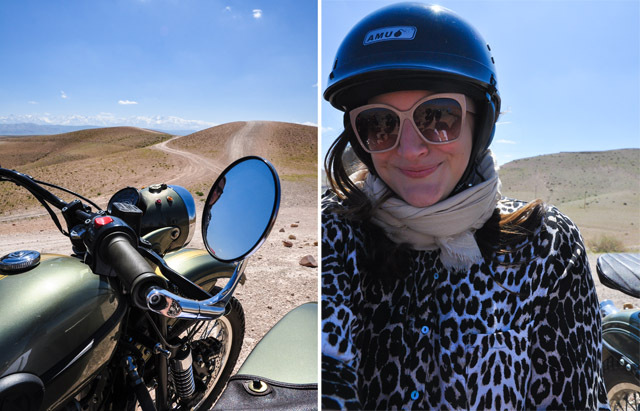 Never in my life did I think I'd be a girl who was interested in riding in a motorbike sidecar, but I couldn't have been more wrong. 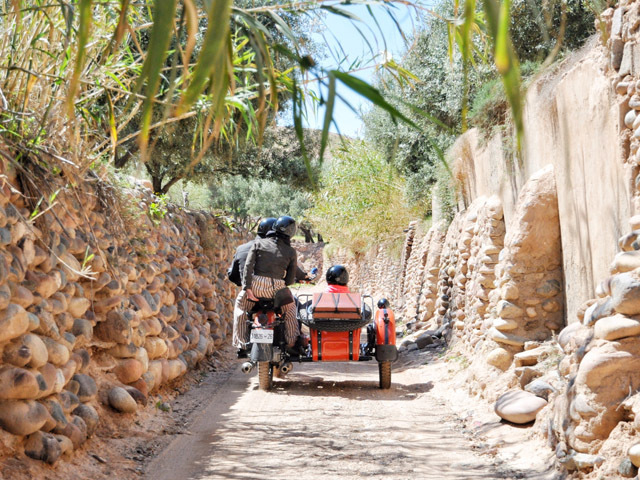 This is the perfect way to discover the surrounding areas of Marrakesh. As you tear through the city and out into small villages, by way of rocky tracks, you will feel as if you have truly stepped back in time. 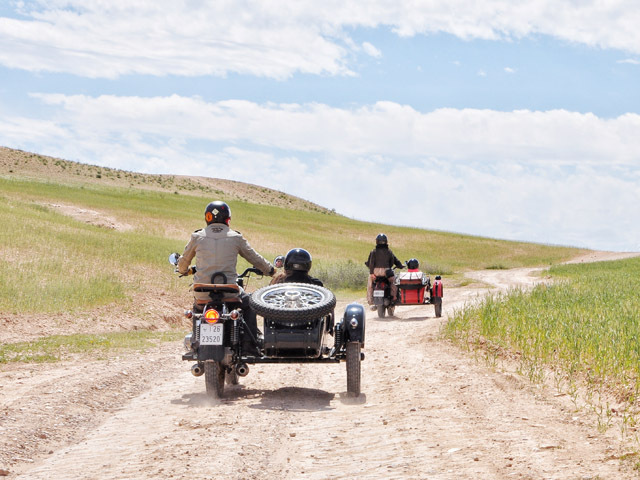 All the while you are free to use a camera to capture the adventure, as you're merely a sidecar passenger. No responsibility there, right? You need only worry about taking it all in as it passes you by. Oh, and prepare for a special surprise with a view mid-way through your journey! 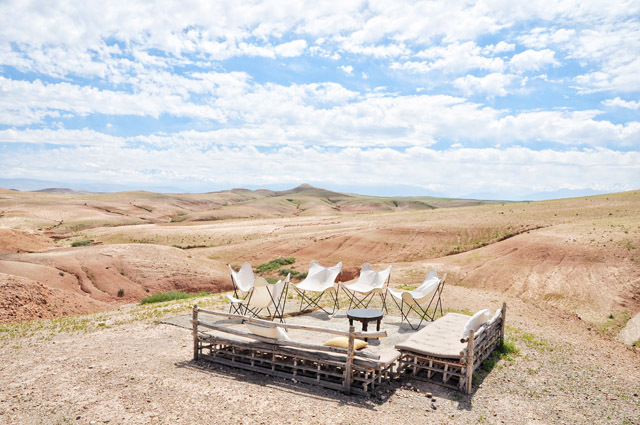 Imagine lunch in the middle of the desert, just you and the open air, complete with the sweetest mint tea you've ever come into contact with. 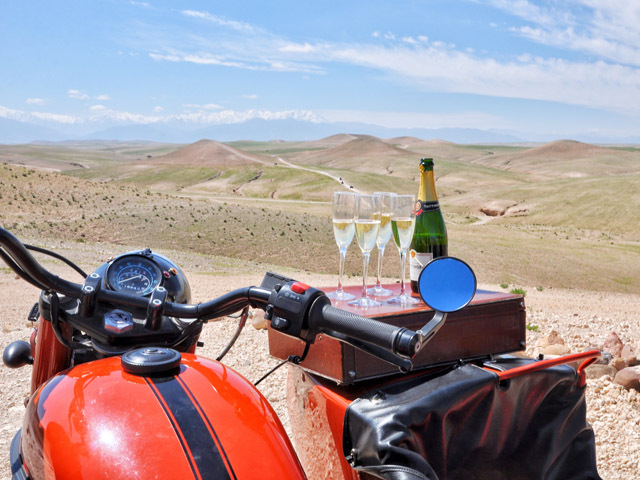 This is what you can expect at the end of your sidecar journey, or an opportunity you can book that can also simply be reached by car. It's up to you how you get there, just get there. I've never enjoyed a meal with a more stunning view. The food was magnificent, the staff were very friendly and we were met with a wide array of visitors from every part of the globe. Again, you'll feel as if you've just tripped onto a movie set. It's simple magical. 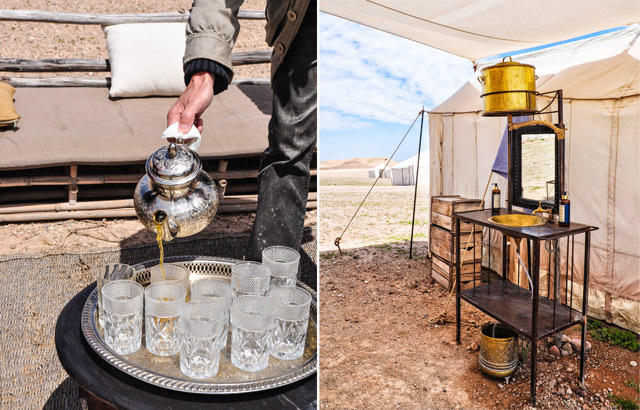 A Marrakesh "must do." 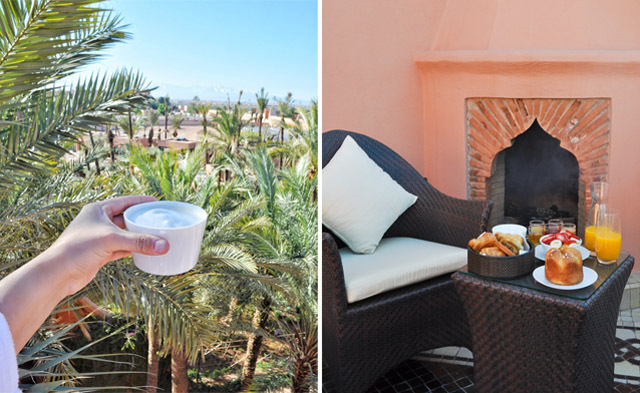 Fashion Foie Gras was a guest of The Royal Mansour while writing this guide to Marrakesh. The gates to The Royal Mansour.